Earn $2.49 in VIP credit (249 points)What's This? 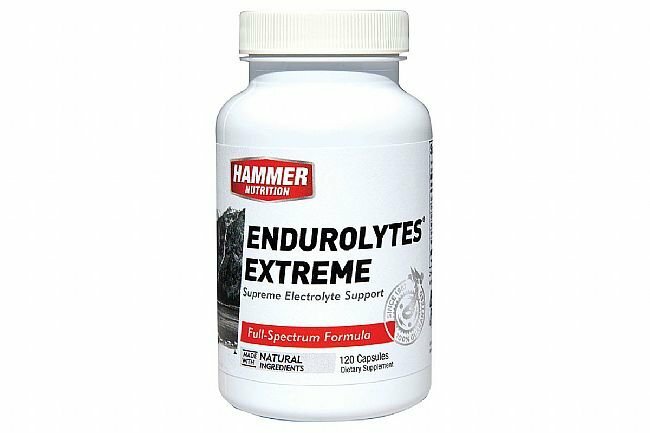 The Hammer Nutrition Endurolytes Extreme allows riders to push the pace – cramp free – thanks to its full-spectrum electrolyte profile. With this formula, you can healthfully meet even the highest electrolyte demands. Designed for harsh conditions, high heat, the unacclimatized, and those with elevated salt needs, this formula offers three times the sodium chloride and potassium content of standard Electrolytes. 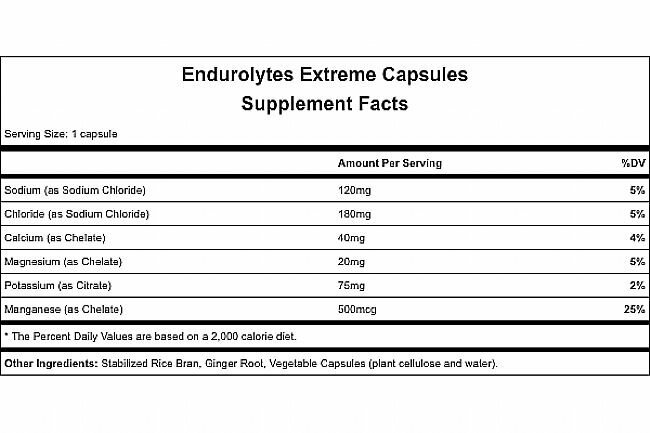 Despite the sodium chloride increase, the Extreme formula maintains a complete blend of electrolytes. This perfect ratio maximizes absorption and helps to maintain body-mineral balance.